This week’s Highlands real estate spotlight is on 80 Ridge Lake Circle, a wonderful opportunity to purchase a lovely Golf Villa in Highlands Falls Country Club. This particular villa offers a mountain view and plenty of deck space to enjoy it. This is a great opportunity to enjoy living in Highlands Falls Country Club with a low-maintenance unit. Highlands Falls Country Club is a gated community offering a beautiful setting, a spectacular 18-hole Joe Lee designed golf course, tennis courts, fishing lakes and a wonderful clubhouse. Highlights of the villa located at 80 Ridge Lake Circle include a large kitchen with plenty of counter space and storage, a stone faced fireplace and vaulted ceiling in the living room, a lovely screened porch, and golf cart storage. This 3 bedroom 3 bath Highlands Falls Country Club property is perfect for someone looking to live in a country club setting close to Downtown Highlands NC. 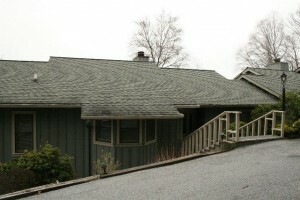 Contact me, Lynn Kimball, today to schedule a showing of 80 Ridge Lake Circle. I welcome the opportunity to help you locate a property that suits your needs and your lifestyle. Let my knowledge and experience serve as your guide to Highlands real estate.